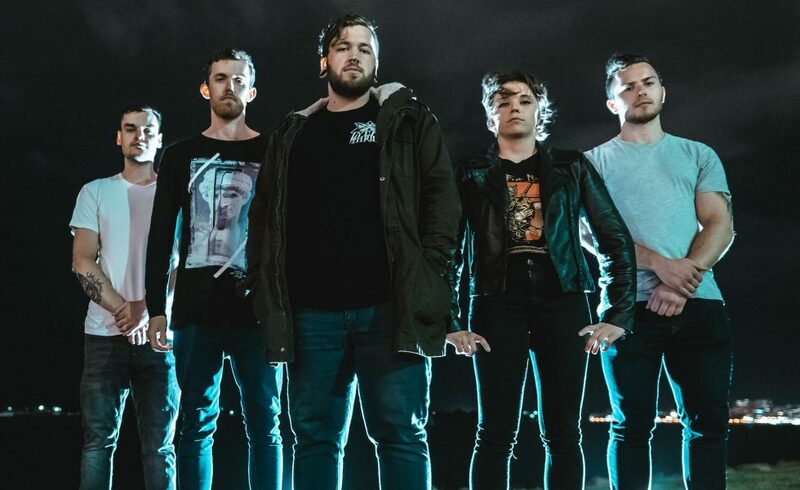 Keep your eyes on Cold Era; they’ll be ones to watch in 2019—y’know especially if their latest single Never Change is anything to go by. Recorded, mixed and mastered by Darcy Long, the track is filled with the trademark heaviness OG fans of the Novocastrian crew have come to expect. Following its release, Hysteria caught up with frontman, Josh Stewart to talk about the single and the Cold Era‘s plans for 2019. Hysteria: Let’s start off by getting you and your band introduced. Josh: So I’m Josh. There’s also Deni Hourihan who plays guitar, Ryan Holmes who plays bass and Mick Shultz who plays drums. Warren Roden was in the band and was the other guitarist but now we’re a four piece. Your latest single Never Change just dropped and it’s an absolute banger. Run us through what it was like working on that track. Working on it was really fun, the guy that recorded it for us is a pretty good friend of ours so working with him was really good. We worked on the song to make it the best thing it could possibly be. We went through a few changes with it and then once it came out the other end it was pretty much exactly what we wanted it to be. Basically when we started working on it we had kind of figured out our sound, the first two singles we released weren’t quite there … they were songs we wrote but they weren’t where we wanted them to be. Just on that point, how else did working on this track compare to any past singles you’ve dropped? With the vocals, the biggest difference was we didn’t have Warren doing the clean vocals anymore. He made the decision to leave the band. Before we recorded it, we made the decision to not have him sing in it but he still played guitar. Deni did most of the work on the instrumentals but he was still involved with it. Other than the fact that the track was pretty well where we found our sound, recording and writing Never Change just felt a lot more comfortable. There were some parts on the previous songs that felt a bit pushed, like we weren’t super into it but we thought oh this part just goes with the song. With Never Change though, we were into it from start to finish. You did your interstate weekender earlier this year, what were some of your most memorable moments from that? That was the first time we’ve done a little tour as a band. Our bass player Ryan had a lot of fun; he got involved in the circle pit in Sydney. It was such a small venue (The Hideaway Bar) so we were really surprised we managed to get one going, but we did! Another big highlight was the amount of people that watched us in Melbourne; it was a lot more than expected. Albury was really memorable too, the reaction they had to us was incredible. They’re pretty much the main reason I want to go back down there now, I didn’t think I’d have so much fun playing in Albury. Following that show, like three days after it, we got booked for another show down there in March. We had messages asking how much we wanted to come back and we just said cover our fuel and we’re there! At this point in time we’re trying to push through as many places as possible to spread our name. You recently supported Secrets on their Fragile Figures anniversary tour, how’d it go? That went really well! Secrets were a band I was really into when I was younger and it was really good to play on the anniversary tour of my favourite album by them. I wasn’t expecting it to go great because it was a Sunday show in the middle of the day at the Cambridge Hotel but it was still pretty successful which surprised me. I’ve never really seen Secrets play live so to see them and to play with them on the same day was pretty cool. Newcastle’s been killing it musically lately, who are some of your favourite bands from there? So there are a few bands that we’ve played with a bunch and a few others that we’d love to play with. We’ve played with Take My Soul, Liberties, Lycanthrope, Set Me on Fire and Splinter; they’re all really talented musicians. Then there’s The Wandering and Indigo Bloom, I really hope we get to play with those two bands at some point. What were some standout moments of 2018 for the band? We only had the last half of 2018 as a band; we did our first show in July but there are two specific shows that really stand out to me. Playing with Picturesque and Awaken I Am at The Small Ballroom was definitely one of the biggest crowds we’ve had in our own hometown. We also got chosen to open the Worries out the Window mini festival in Canberra. When we got asked to do it I didn’t think there’d be many people watching us, seeing as we were the opening band, but the room was still packed so that was really great. So when did the band first get together and actually start to play music then? Mick and I had another band, we started it like two years ago but it kind of fell apart after one show. We got Deni in at the start of 2018 and we started writing some fresh stuff that felt different so we thought we should change the name. At this point in time we’re trying to push through as many places as possible to spread our name. That’s why we went down to Melbourne; we wanted to expand our reach. We’re currently writing our EP, I have no idea when it’s expected to be finished, we’re putting a lot of time into it so it could take a while.